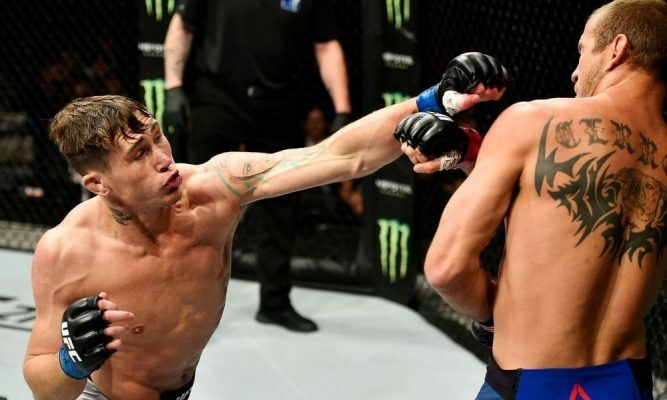 UFC welterweight Darren Till has a nickname that was given to him by UFC colour commentator Dan Hardy. 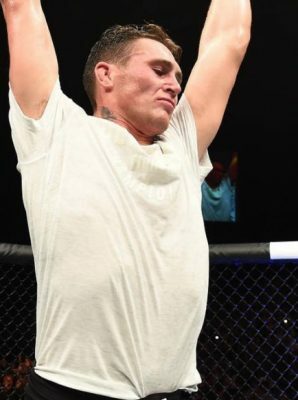 Darren Till is no longer known as just Darren Till; he’s now Darren “The Gorilla” Till. The Liverpudlian revealed the news during a UFC 3 promotional interview with UFC colour commentator, Dan Hardy earlier today in London. Hardy was the first to name Till “The Gorilla” and it’s something that has stuck with the Liverpudlian ever since. Till’s Instagram comments and captions are often dominated by fans using posting the silverback gorilla emoji and today he accepted that he would have to officially make it his nickname. Till has yet to announce his next fight and with little less that 7 weeks time until UFC London, it looks almost certain that he will not be added to the fight card. The better news for Till fans is that he has been added to the latest UFC 3 game as a playable character and that fans will be able to play as him from launch day.